Now I know by the tittle of this post you’re probably a little confused.. “who cares about coconut water?”, “and why do you have a favorite?” Well let me just start off by saying Coconut Water has changed the game. 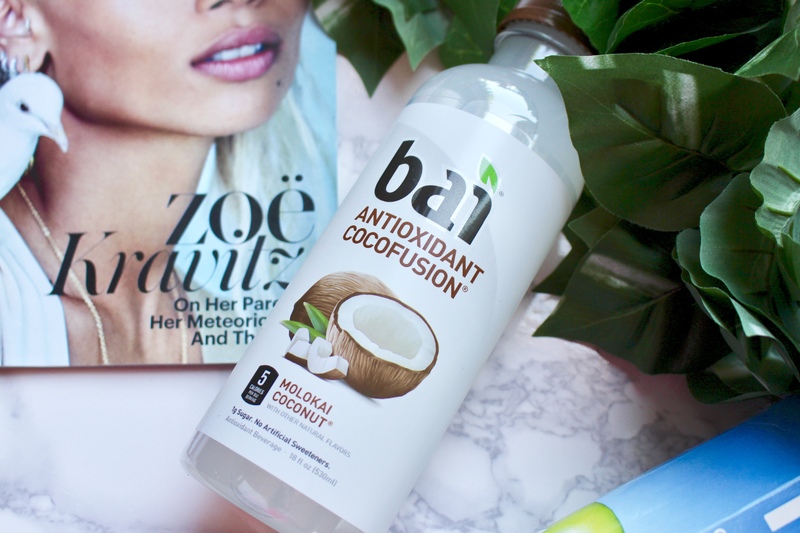 My two favorites are Bai Antioxidant Cocofusion in Molokai Coconut flavor and Zico Coconut Water in Natural flavor. Now that you know the two brands I will get into the facts! 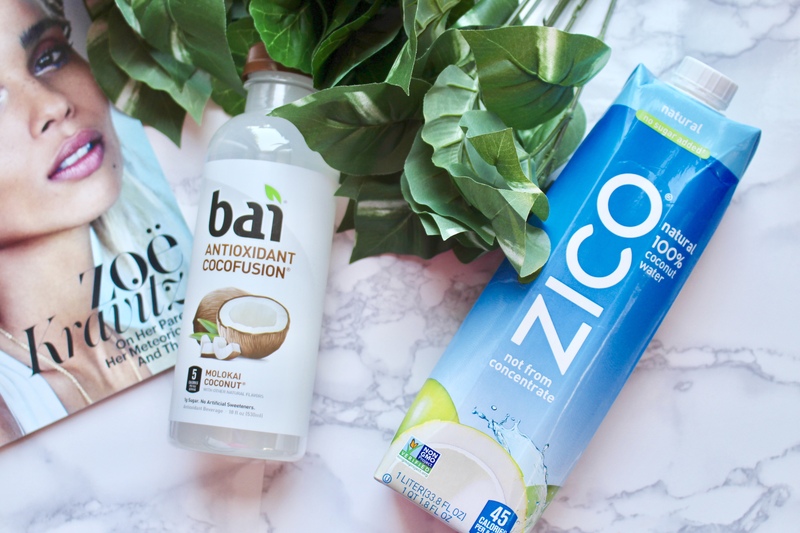 Ingredients – Filtered water, Bai® Proprietary Sweetener Blend™ (erythritol, stevia extract), coconut water concentrate, natural flavors, potassium citrate, citric acid, ascorbic acid, coffeefruit extract, white tea extract, sea salt. Those are the 3 main parts to this drink! This is a coconut water but, it is more of an antioxidant drink that’s coconut flavored. The serving size is 8 fl oz which is about 2 servings per bottle. Has natural caffeine – 35mg per serving like a cup of green tea! Molokai Coconut – extremely light and happy. I say happy because that’s really what it tastes like lol. It’s not super coconut which can be a little overbearing sometimes, and it is not bland at all. This drink is super delicious over ice and mint leaves! I usually buy the 1 liter bottle because my mom likes it too so it’s easier for the big bottle! I have used every size these come in though. This was the first coconut water brand I’ve ever tried. The serving size is 8 fl oz which for the liter bottle is about 4 servings per bottle. Natural – really light, can be bitter. You have to really like coconut to drink this flavor. I have tried every single flavor Zico makes and I love them all. I just always go back to the original natural flavor. potassium = eating a small banana. naturally fat, cholesterol free and gluten free. electrolytes which are great for when working out or being extremely active. Are you convinced yet? Coconut water is so amazing for you and tastes amazing too! It’s a perfect drink. I usually have coconut water before and after a workout. Sometimes though, I will have a little glass of it whenever I’m feeling sweet lol. I highly recommend trying these two products if you haven’t already and especially if you’ve never drank Coconut Water. 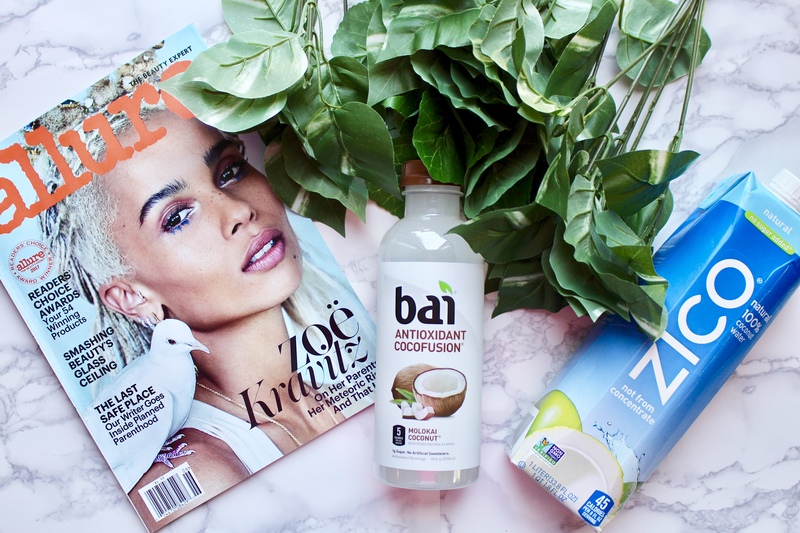 The Bai flavor is much sweeter than the Zico so if you like that go for the Bai. These are the two best brands I’ve ever tried which is why I felt the need to share them! 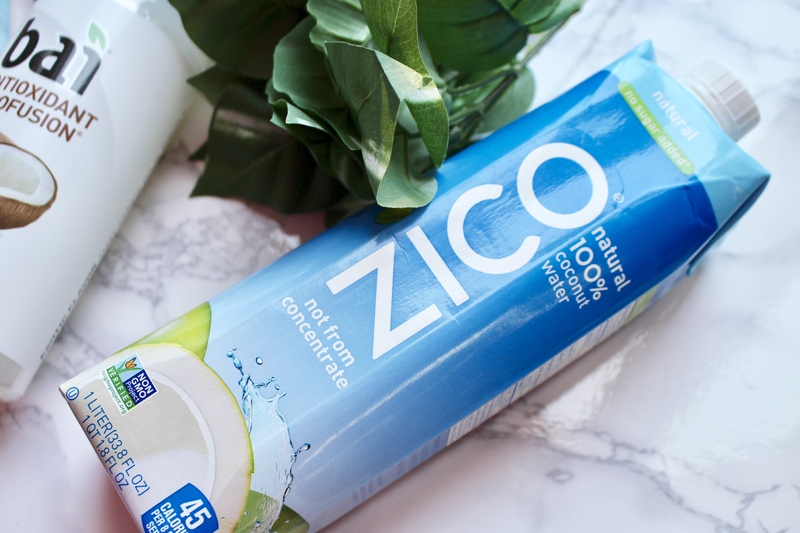 I hope you enjoyed this post and learned a little something on the benefits of Coconut Water! All information was taken from the bottles and websites of Zico, and Bai. All opinions are also 100% my own. This is not a sponsored post. My family loves coconut water! My mom brought me back raw coconut oil from Guyana that they made!